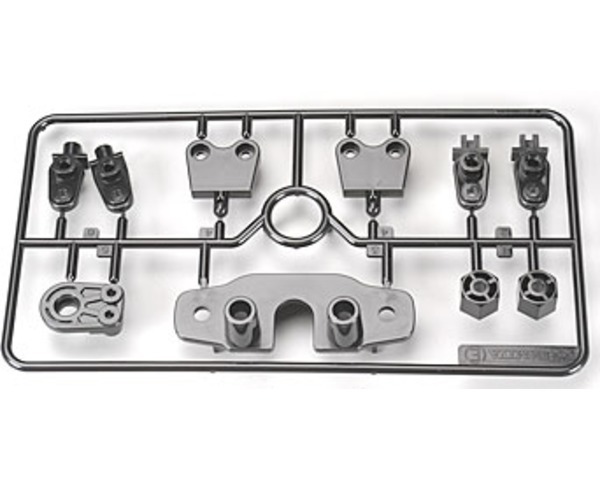 This is the Stock Replacement E Parts Tree for the Tamiya Wild Willy 2. These parts are located throughout the vehicle. Cutting parts from parts tree. These parts are designed specifically for the Wild Willy 2.